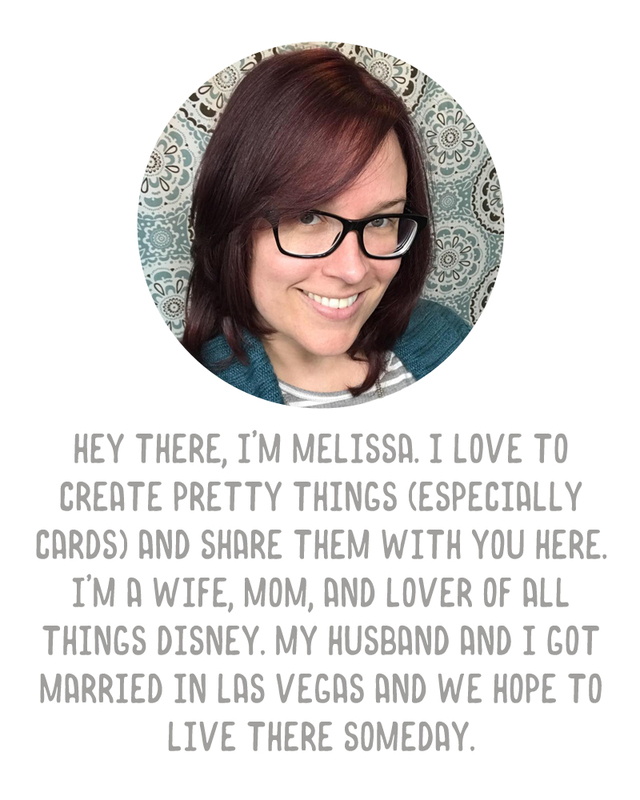 Today I am sharing a card I made with no one particular in mind. I had picked up a gorgeous paper stack of watercolor patterns at Hobby Lobby a couple of months ago by Momenta. I thought the papers would be perfect for card backgrounds. 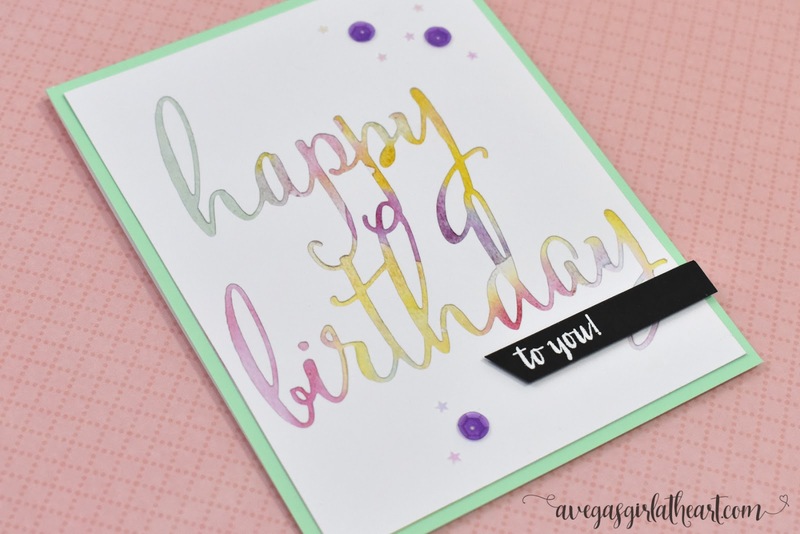 I wanted to try out a die I had from Memory Box, the Fancy Happy Birthday die, and use the watercolor paper behind the negative space. (I don't think the company sells this particular die anymore). After I ran this through my Big Shot, all the little bits in the center of the letters kind of "fell out" so I had to carefully put the 'happy birthday' back into the cutout space and fit in those centers while I glued them down, and then remove the word piece after. It took awhile, I'm not going to lie, but I love how simple and colorful the result is. I attached the card front to some a piece of green card stock (Craft Smith brand found at Michaels) and then put that on a white card base. Then I stamped 'to you!' 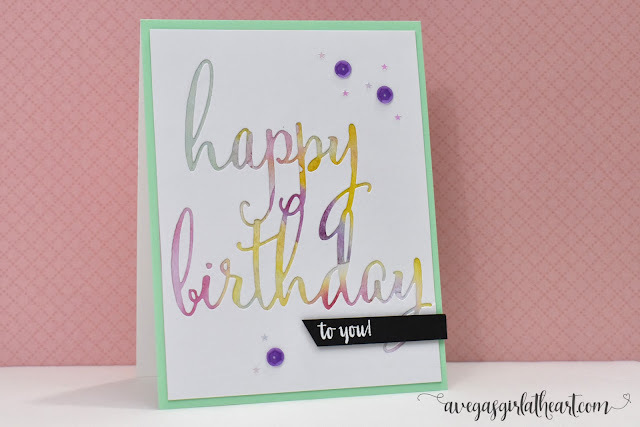 using the WPlus9 Strictly Sentiments 5 stamp set and Versamark ink onto black card stock. I used Stampin' Up! white embossing powder and my heat tool to emboss the sentiment and make it pop. I carefully cut the black card stock into a strip and used some foam adhesive for some dimension. To finish the card, I added some purple sequins from Craft Medley and some tiny mini iridescent star sequins from Martha Stewart. 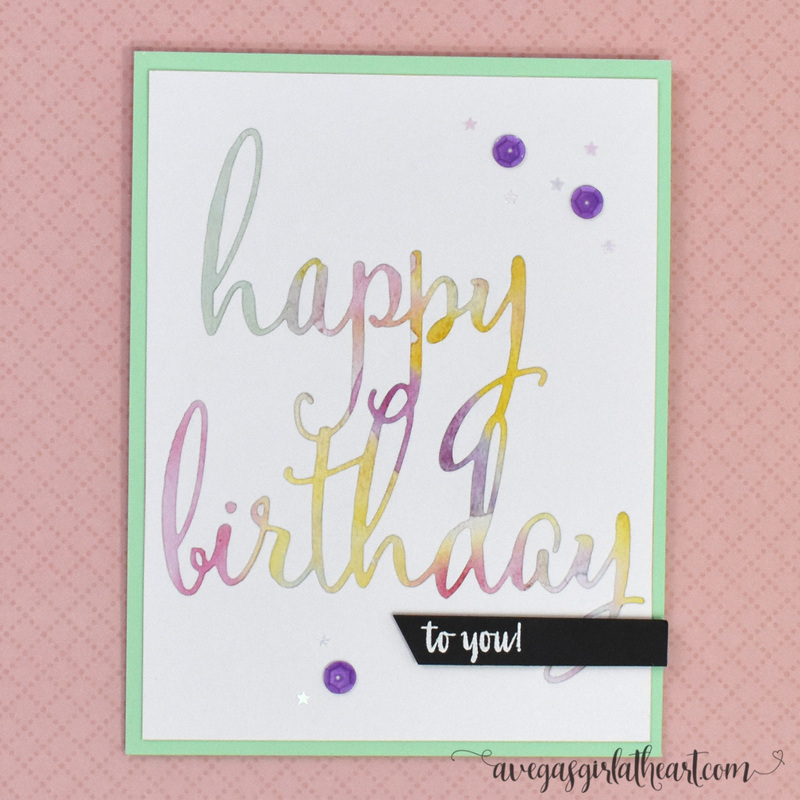 I used Ranger Collage Medium adhesive and my craft tweezers to attach them to the card. They're so tiny, not easy to work with.